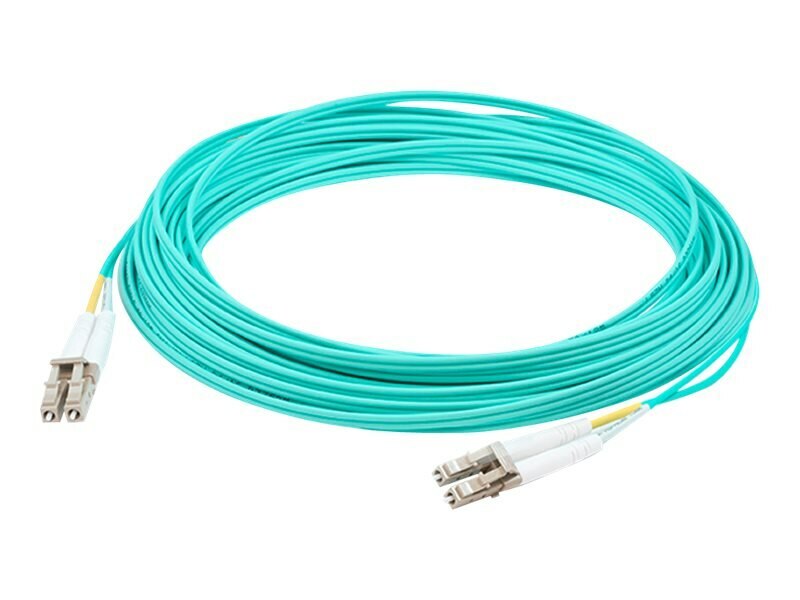 This is a 6m LC (male) to ST (male) aqua duplex riser-rated fiber patch cable. An OM4 cable has a core size of 50µm microns that supports 10 Gigabit Ethernet at lengths measuring up to 550 meters, and 100 Gigabit Ethernet measuring up to 150 meters and is reverse compatible with OM3. This optical fiber, nonconductive, riser (OFNR) cable is best suited for use in interior fiber-optic applications. A duplex cable is a two-strand fiber optic patch cable that works best with transceivers that both transmit and receive. Our patch cables are 100% compliant for all of your networking needs. Our products are guaranteed by federal law to not affect or void OEM warranties.